In 1818, Baltimore constructed the Bel Air Market on this site, the sixth in the city’s market operation, to accommodate the growing commercial center at the hub of streets leading out to the countryside and into the city. By 1836, the 500 block of Gay Street was lined with solid brick buildings. The buildings, 64 in all, largely fall into three architectural categories: row house shops (mostly two stories with dormers) that date to the 1820s; Victorian stores, dating from the 1870s and wider and taller than the earlier rowhouse shops; and 20th century stores that emphasize Art Deco, Moderne and Sullivanesque styles. Some of the buildings are the last in the city to have cast iron fronts. The 500 block of Gay Street was closed to traffic in 1968 to create a pedestrian walkway that the city hoped would help business. The 500 block of Gay Street, the heart of Old Town Mall in the Jonestown neighborhood, is a full block of intact historic commercial properties that contain over 200 years of architectural heritage. Today, the Baltimore Development Corporation is overseeing a large redevelopment for the area. The goal is to attract additional commercial activity to the Mall and surrounding area, and will begin by returning the street to vehicular traffic in 2008. The 500 block was designed a CHAP district in 2004. 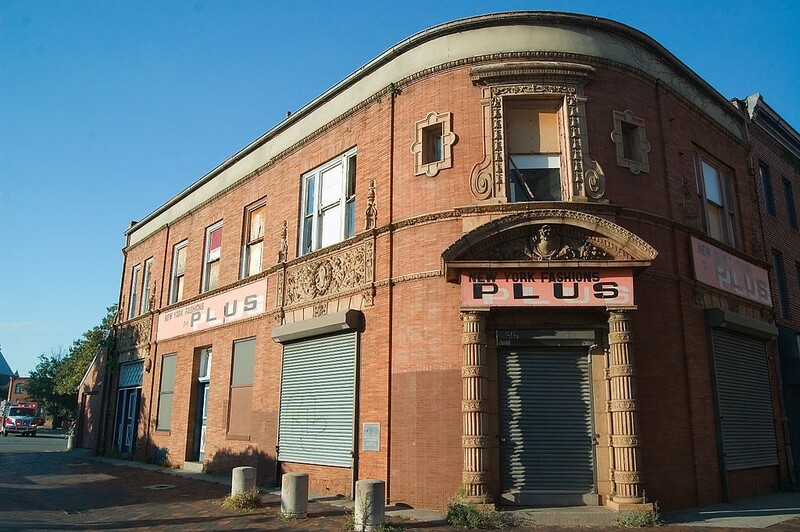 There is no plan to demolish any of the buildings in the 500 block, but many of the buildings are in desperate need of renovation.